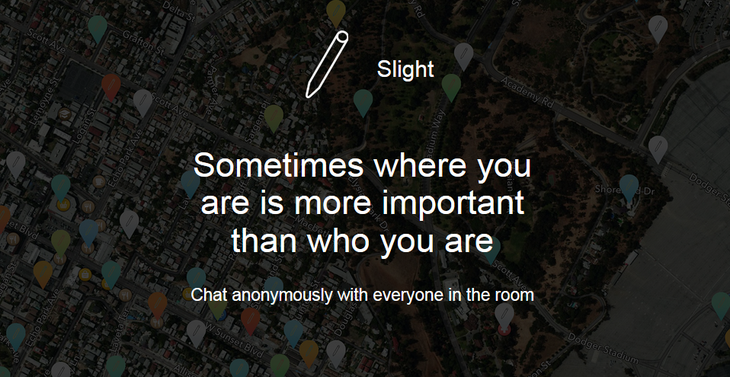 Slight is a free iOS app that takes a different approach to anonymous social networks. Yes, the niche is abundant in Secret and Whisper-like apps, and what could possibly any developer add that would be of value and interest in anonymous social networking? The answer is – geo-location. Slight needs strong GPS signal to locate where you are, cover your area and identify other Slight users, so that you can join in on any conversation, anonymously, or simply eavesdrop on a conversation of other strangers. To think of it, people tend to be genuine and true when talking to strangers more often than when they talk to their own friends and family, but when you talk to strangers who might have something in common with you – chances are you might find an interesting companion in this Strangers Anonymous club. The developer got the idea of Slight when he attended a conference and wished he could chat with other people in the room about the conference, but anonymously, and know what people were really thinking about the conference, or just chat about something unrelated, sports, news, gossip. The app is free, and requires no registration, no usernames, no passwords – you are just a tiny ping on the map of your city. Say, you are on a business trip, and the evenings get boring, but you are not that adventurous as to go with Tinder. You simply wouldn’t mind a friendly chat that is relevant to the area you are currently in, no hidden catch. You just tap Slight and see if there is someone around willing to have a chat, recommend a nice restaurant, jazz club or a play at the local theatre. Why not? Without a doubt, the freedom of anonymity gives you wings. You don’t need to register on Facebook and disguise yourself as Mrs. Doubtfire just to join an online community. 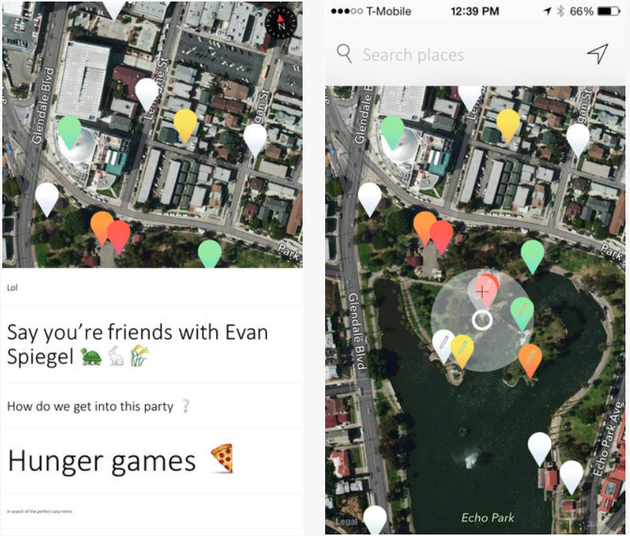 Slight gives you access to pure anonymous communication that is location-based, and it’s an area you would want to explore. However, if you are in L.A. or San Francisco, chances are people are already catching up with the vibe, so spread the word and start exploring the new dimension of anonymity. 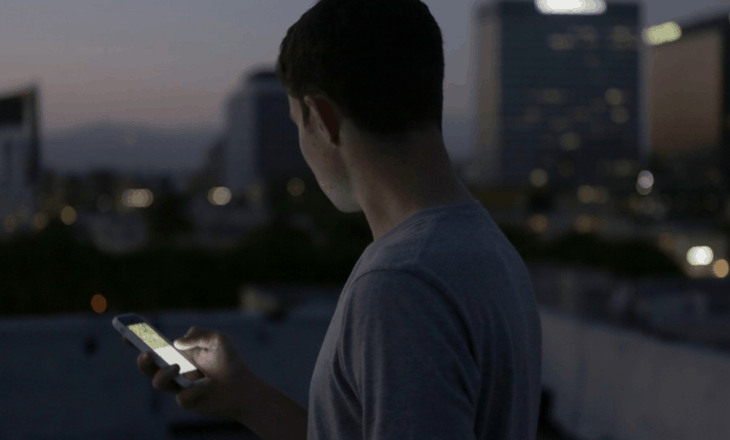 There is one more restriction I would eliminate, though – you can chat with other Slight users who are up to 40 meters away from you, which effectively limits the number of Slight users in your area. I’d widen that radius substantially to include at least the neighborhood, or better yet, make it worldwide. 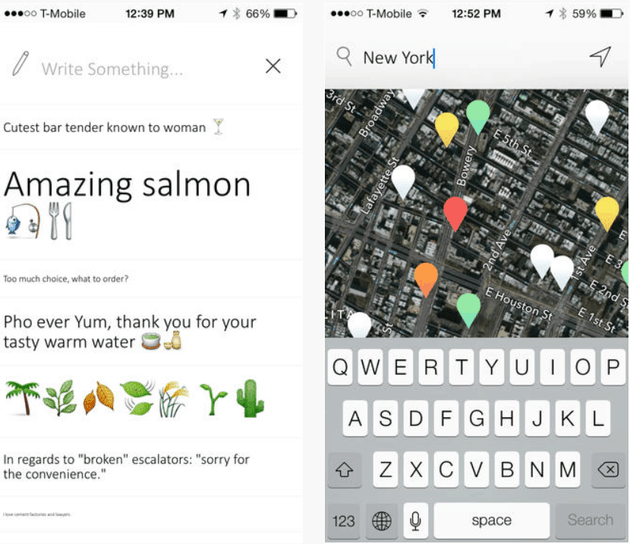 It’s simple to use – tap a pin to open ongoing conversations and join them or tap + to start a new one. You can simply post a shout-out or a thought so that other users join you in a conversation, or simply pin your own comment to a specific place. You can’t comment on ‘distant’ conversations, but you can read them and up-vote or down-vote comments, so that popular comments grow bigger in size, while unpopular shrink. The bottom line is Slight’s potential is immense. The app is dynamic, truly anonymous and lets you get involved in a conversation relevant to where you currently are without disclosing your identity or email. Of course, there would be a certain amount of dirty jokes, but that’s human nature. On the other hand, Slight’s nature isn’t hooking up, or stalking anyone, so it’s definitely worth a shot. What do you think?